Why we love it: Achieve a silky smooth shave at a fraction of the cost of name brand razors. 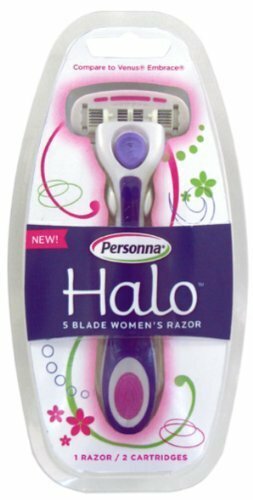 This easy to use and ergonomic razor is made specifically to glide over contours and angles for a comfortable shave. Free of animal products and animal testing, this razor features quick rinse technology to keep the blades clean for a closer, longer lasting shave. Each unit comes with one reusable handle and 2 cartridges. Vegan. Zero animal testing. Hypoallergenic and dermatologist tested.